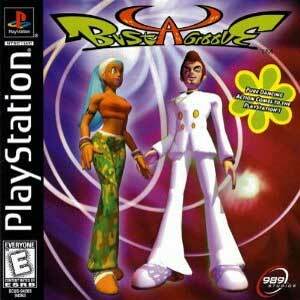 In my book…Bust A Groove was and stays one of the coolest video games ever…on the Playstation and in general! 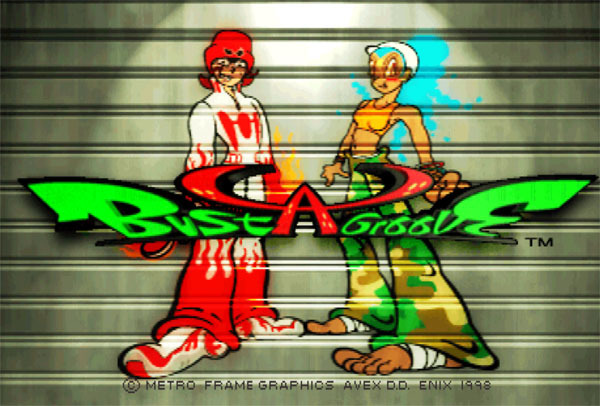 This game combines dancing with a badass soundtrack of very different music genre’s, had great animations for 1998, super fitting characters and the gameplay it easy to pick up and getting better in it to have a lot of fun with playing it against a friend or playing it through on the harder difficulties. I also loved that there is a little bit fighting in the game and that the characters all have their own endings..just like in fighting games..there are even a couple of unlockable characters here including a Capoeira Robot pair. Bust A Groove got a great sequel and also a third game which was very different from the first two games though and only released in Japan for the Playstation 2. This series died a long time ago sadly. Bust A Groove – The Heat Is On! Technology is a cruel mistress. Most of today’s gamers are missing one of the quirkiest, character driven rhythm games ever developed because it was never updated for our current HD setup. 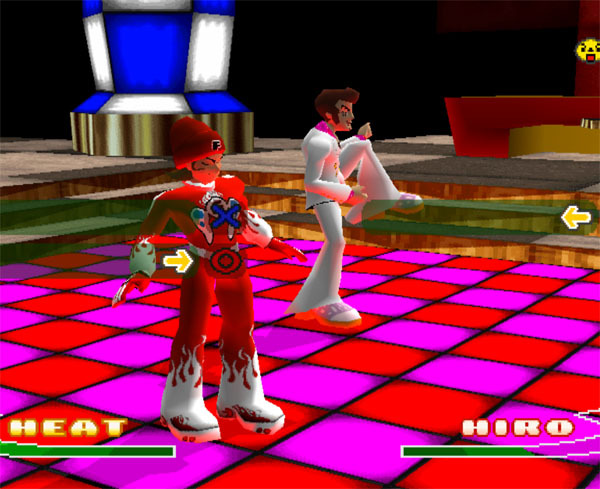 Bust a Groove hit the Sony Playstation way back in 1997 and I liked the game because it was similar to PaRappa the Rapper, which I also loved playing at the time. However, the game was different in that you didn’t just copy commands. Instead, you battled head to head against the CPU or a friend by getting the inputs right and attacking at the right time. 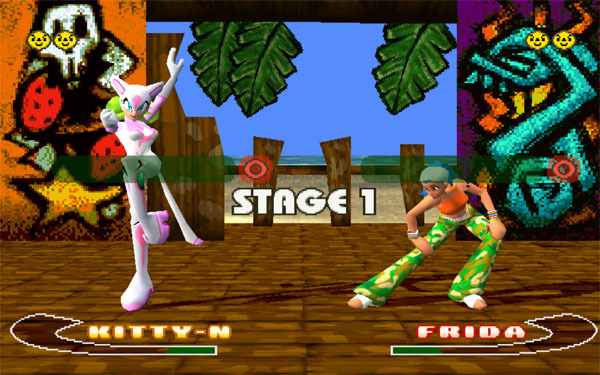 The game features a pretty diverse cast inspired by various dancing styles. 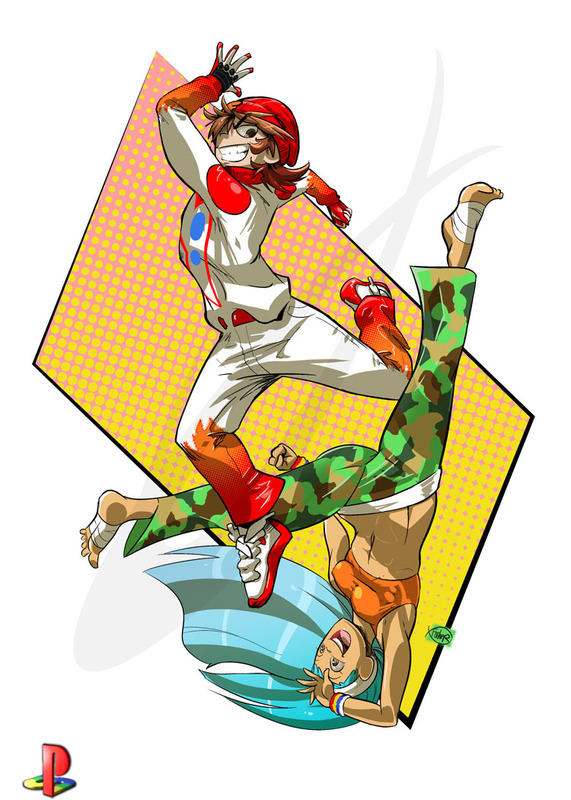 My artwork features Frida and Heat, who practice West and East coast Hip-Hop respectively. These two are actually a few of the more normal characters in the game since it featured aliens, robots, and animals as unlockable rewards. The music is extremely catchy without being too repetitive, and I still listen to it while working. Heck, I listened to a lot of it while drawing this very piece. With its CD format boasting superior sound quality, Sony’s Playstation console was the obvious choice at the time for a game like Bust a Groove. The series continued with two sequels and I personally enjoy Bust a Groove 2 the most. Creating the artwork took quite some time because I had no idea what I wanted to do for the game. Since they’re more or less the most identifiable characters, I decided on Frida and Heat jumping around and nearly colliding with one another because it looked impressive and the poses were a challenge to draw.